Bored or tired? We look at the real cause of yawns. Nothing bonds strangers like passing (or catching) a yawn on an early morning commute. Humans aren’t the only ones susceptible to contagious yawns - there’s evidence of contagious yawning among chimpanzees. Some dogs will even follow suit after seeing their owners yawn. More often than not, the uncontrollable urge to yawn comes at an inconvenient time. Whether it’s during a catch-up with a friend after a big day, or a one-on-one with your boss. Once a yawn begins, it’s almost impossible to stifle or cover up. It can also be awkward to talk your way out of. Yawning is usually followed by feelings of comfort. Interestingly, it’s also one of the first things humans do, even before we’re born. Watch Medibank expert Dr Zoe Boyatzis explores why we yawn, and how it might benefit us. Yawning is usually associated with being bored or tired, but it might not be as simple as that. Some science suggests yawning is more likely the body trying to regulate or stimulate the brain. For example, studies have linked feeling tired or bored to the brain slowing down or lacking stimulation, making its temperature drop. The role of a yawn may help to regulate our brain temperature. Another popular theory is that yawning is the body trying to wake itself up. Two separate studies looked at changes in the body in the 75 seconds following a yawn. The body showed signs of arousal, such as increases in heart rate, air in the lungs, and eye muscle tension - similar to the effects of caffeine. Studies also suggest yawning may stimulate the carotid artery located on either side of the neck, responsible for blood supply to the scalp, face, neck and brain. Stimulation of the carotid artery is thought to arouse the brain, as well as increase circulation. There are many theories on why we yawn, but scientists are yet to find a conclusive answer, and it’s possible there could be a range of reasons. Yawning is extremely contagious - seeing, hearing, reading or even thinking about yawning can trigger one. Even videos of people yawning can set us off. But why? Scientists aren’t entirely sure, but some researchers suggest contagious yawning is due to our predisposition for empathy. 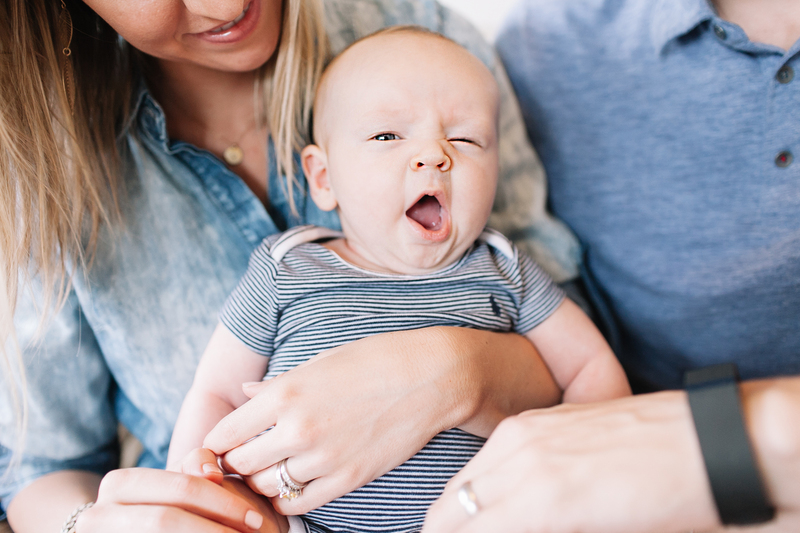 Another study suggests we are more likely to ‘catch’ a yawn from someone familiar, like a family member. However, debate on the theory continues! Have a better understanding of why we yawn? Learn more about common health conditions in our What Causes series here.